In January 2017 the Group implemented a highly voluntary intelligent robotization plan at its production units. Newrest has incorporated a group of experts to develop automated production lines assisted by ‘Cobots’ (collaborative robots). Many of our new production centres are equipped with revolutionary robot systems to help increase efficiency and reliability. This enables Newrest’s staff to focus on value- added tasks requiring initiative, know-how and adaptability. The first line was installed at London Heathrow just 9 months after the launch of this ambitious plan. Today, intelligent automation is gradually being incorporated into our units at Paris Charles de Gaulle, Paris-Orly, Athens, Madrid, Barcelona and Montreal. Our team of experts in collaborative robot- ics is working to revolutionize a wide range of business areas of in the goal for continuous improvement. Each line installed is more efficient, more innovative and more flexible than the previous one. The Newrest Group’s know-how in complex logistics operations, when applied to the railway environment, enables it to design and develop specific logistics facilities and equipment for our operations. Facilit’rail, a dedicated subsidiary, has positioned itself as the leader in this field. 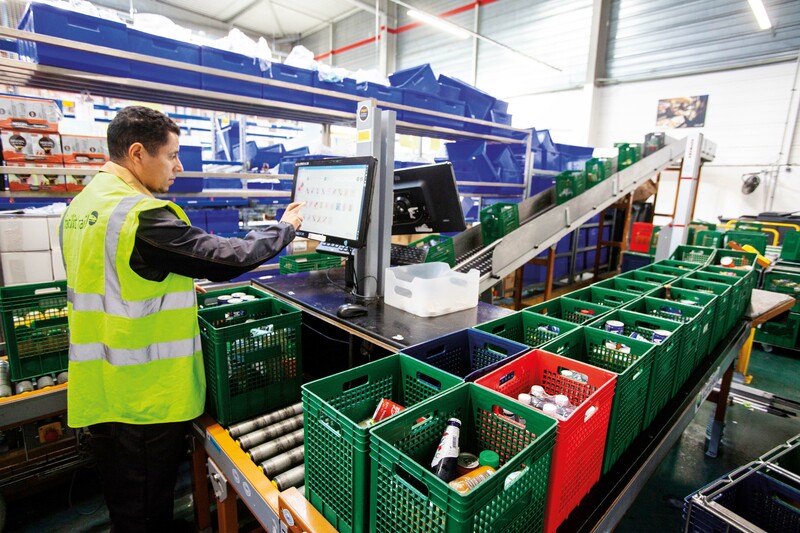 The new logistics base at Charenton-Le-Pont is equipped with new technologies monitored by a WMS, with tailor-made return management systems and ergonomic equipment to ensure the work environment is professionally optimized. In June 2017, the site won 1st Prize for Prevention awarded by the Service aux Entreprises pour la Santé au Travail – SEST (Business Ser- vice for Occupational Health) to reward the prevention of occupational risks. Newrest is committed to a plan to renovate its fleet of air catering trucks and uses the latest technologies to approach aircraft safely. With the purchase of more than 100 trucks over 3 years, including 60 this year, the Group is investing in the safety of its air-side services. Newrest has rolled out collision avoidance systems, using latest-generation proximity sensors and 3D cameras, across its fleet. Approaching aircraft has been made safer through high levels of automation.